In this week’s Instagram Monday post, our favorite #beachbarbums tagged photos transport us to Hawaii and the beaches of the Na Pali coast and to Waikiki, where one of our favorite global travelers, Instagram user @celestedickson, discovered House Without a Key, “the place to get a Mai Tai.” Also featured is a look back at the previous incarnation of Ivan’s beach bar on Jost Van Dyke in the British Virgin Islands, a glimpse at one of our favorite beach bar on Florida’s Atlantic coast, mojitos in Spain and cocktails in Greece and a beach bar view in Puerto Rico that reminds us why it’s so hard to say goodbye to our favorite beachfront watering holes. 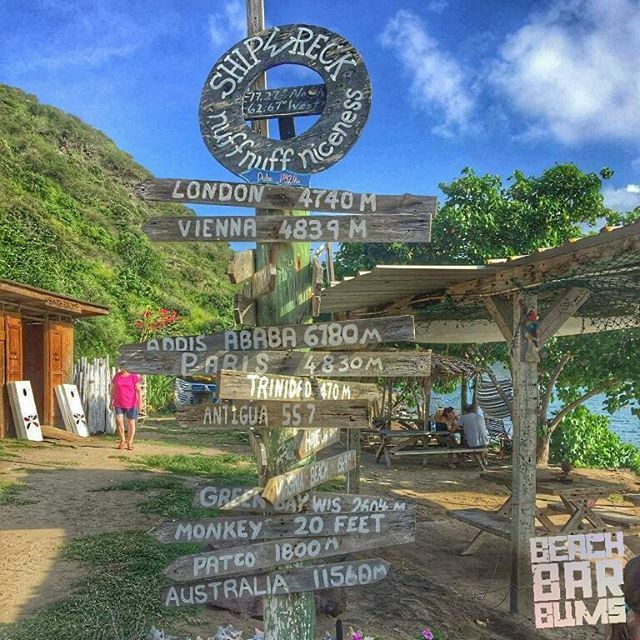 Being a beach bar bum might not be the best life but it’s a darn good one. View at Nico's Pier 38. Having lunch & beers. #beachbarbums @beachbarbums Pier view! Fish can't get any fresher. Honolulu.